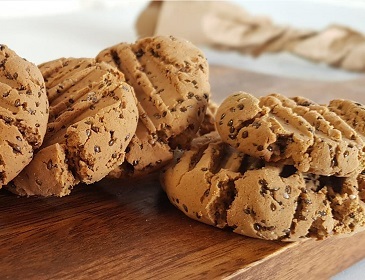 These high protein cookies are made using pea protein and chia seeds. Beat coconut oil and sugar. Add maple syrup, peanut butter and vanilla essence, mix well. Add pea protein, baking powder and chia seeds. Mix until well combine. Bake at 150 degrees for 8 to 10mins or until golden. Top with your favourite toppings or enjoy as is.